Fluroxypyr export analysis will help clients indentify export situation of technical and formulations with exclusive research methods, to offer not only the target products' export volume, price, time, source / destination countries, specification, application, but also the information of exporters, manufacturers, etc. Pyraclostrobin export analysis will help clients indentify export situation of technical and formulations with exclusive research methods, to offer not only the target products' export volume, price, time, source / destination countries, specification, application, but also the information of exporters, manufacturers, etc. Symtet export analysis will help clients indentify export situation of technical and formulations with exclusive research methods, to offer not only the target products’export volume, price, time, source / destination countries, specification, application, but also the information of exporters, manufacturers, etc. 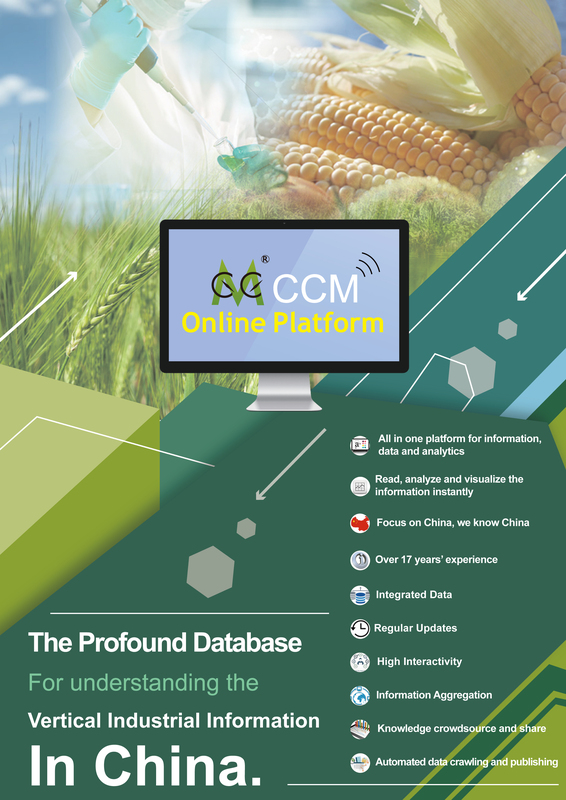 CCM has been providing global companies with strategic intelligence on the agriculture markets in China and Asia-Pacific for long history, and we publish our research in a range of different formats to suit your needs and budget. Market Data provides the latest data and forecasts on the production, consumption and prices of hundreds of different agricultural commodities, pesticides, etc., in China.